Windows: is it possible to replace conhost.exe with a later version (or ConPty) for W10? 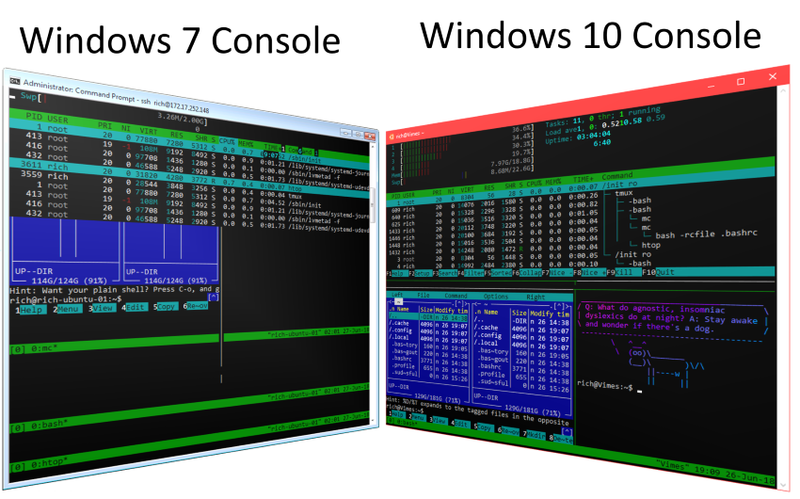 I have a lot of machines that run on W8.1, which obviously are out of date, but for various reasons I can not update these machines for a while, but I would like to take advantage of the new Console Pseudo Terminal (ConPty) with 24-bit color and many other graphic capabilities, now available in Windows-10. Infrastructure between Conhost and one or more command lines. Can I take a Windows-10 conhost.exe (or ConPty.exe) and put it on a Win 8.1 system?